Alexander Hamilton, writing as Publius in Federalist #68, said that "a small number of persons, selected by their fellow-citizens from the general mass, will be most likely to possess the information and discernment requisite to so complicated an investigation" as to who should be president. However, in practice the electors have never really been expected to excercise their own judgement. 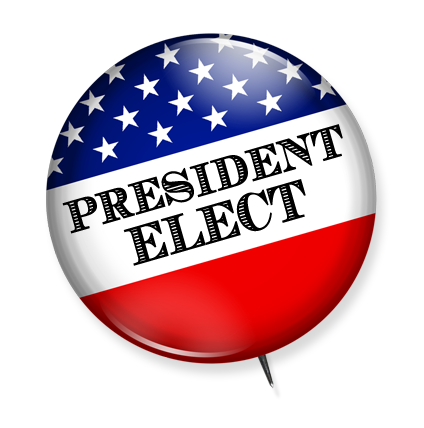 In the first two presidential elections George Washington was unopposed. During his eight years at the helm, political parties had grown in power and become the driving force in American politics. By 1796, the first contested presidential election, parties expected their electors to vote as instructed. Today, electors chosen by the parties are usually extremely loyal members who would never consider not voting for their man. In 2000, twenty-six states and DC had laws requiring electors to vote as pledged (see Which electors are bound?). But every once an awhile, the rare "faithless elector" appears and votes contrary to his parties wishes. Only 10 of the 21,358 electoral votes between 1789 and 2000 weren't cast as expected. The faithless electors have different reasons for changing their vote, but they have never changed the expected result of a presidential election. This list includes only electoral votes cast for president. Electors voting for someone other than the person they were expected to vote for due to the death of that candidate are not considered here as faithless. The first contested election also had the first faithless elector. One angry voter writing to the Gazette of the United States said "What! Do I chuse Samuel Miles to determine for me whether John Adams or Thomas Jefferson shall be President? No! I chuse him to act, not to think!" There are conflicting accounts but Plummer either didn't think anyone but George Washington should get a unanimous electoral victory or he wanted to end the Virginia line of presidents (out of the 5 presidents to this point in history, 4 had been from Virginia). Turner voted for a circuit court judge from his hometown. Irwin was involved in the first known plot to try to sway other electors to change their votes along with him. He had telegramed many of the electors and tried to get them to drop both Nixon and Kennedy, and choose another candidate instead. In the end, he was the only one who didn't vote as bound. MacBride, active in Republican politics most of his life, would switch parties and run as the Libertarian candidate for president in 1976. Unfortunately for him, no electors helped him out! Realizing his vote for Ford wouldn't help, Padden decided to cast his vote for his preferred Republican candidate. Shocked when she learned that electors could vote for whomever they pleased, Leach switched the candidates of the Democratic presidential and vice presidential ticket on her ballot. She asked other Democratic electors to join her protest, but none did.